We all know the importance solar energy holds as an alternative fuel. However, the efficient source of energy is yet to break into our lives as a feasible fuel option. There are countless prototypes which use solar fuel but haven’t enjoyed a commercial release as yet. One such promising aircraft, called Solar Impulse 2, will be proving its might by taking a round of the world next month. 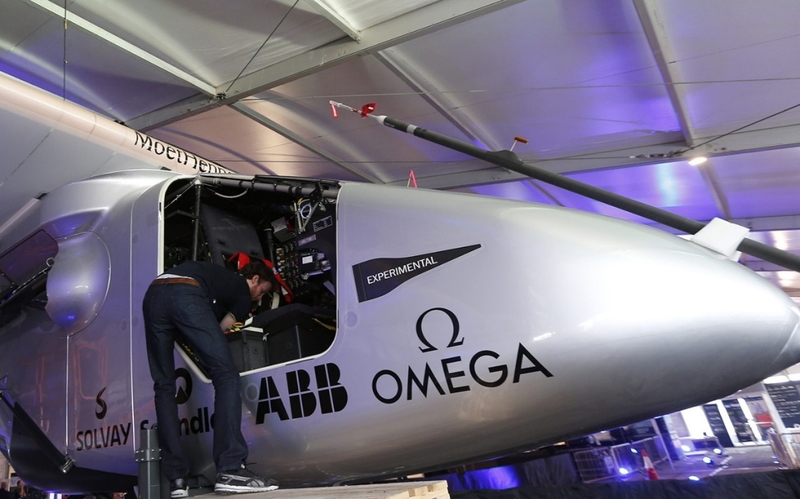 The project’s founders are seeking to prove that flying is possible without using fossil fuel with this project. The one-seater aircraft is set to take off from Abu Dhabi with stopovers in India, Myanmar and China before crossing the Pacific Ocean and flying across the United States and Southern Europe to arrive back in Abu Dhabi. 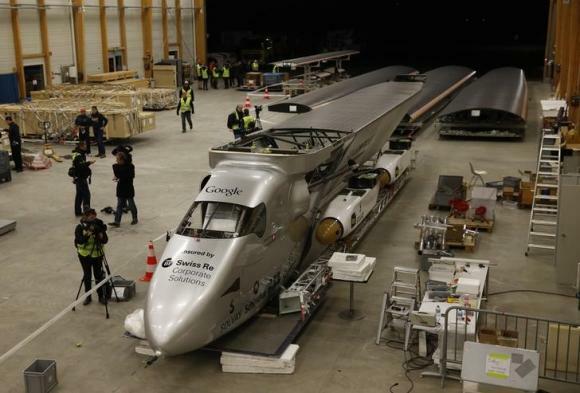 The solar panels that cover the wings and fuselage of Solar Impulse 2 charge up four extra-efficient batteries, which make up a quarter of the plane’s weight. These batteries power its 17.4-horsepower motors, enough to move the plane at 20 to 90 mp. ‘The point of the flight isn’t to produce commercially viable solar-powered planes. Battery-powered aircraft are in their infancy, even those that can charged up with a cord and an outlet. It’s all about proving what’s possible.’ the founders said. Companies involved in the project include Bayer AG, Solvay, ABB, Schindler, Omega and Abu Dhabi’s Masdar. The founders have high hopes with this project and said that if something goes wrong, they will build another aircraft and continue the journey.